All those dumplings and laughter made all us forget petty things. Like how I always had deep suspicion that my mother and grandfather preferred my brother because he is a boy, that we weren’t rich and my parents occasionally bickered about money, that my mother and her sister-in-laws were mortal enemies (okay, I exaggerated just a little there). It was good times. 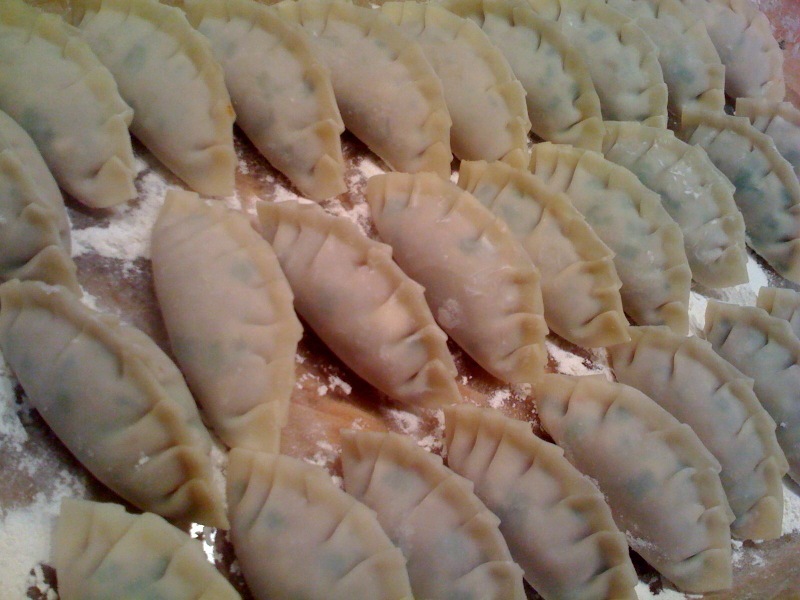 I don’t have an extended family in the States but I still enjoy making the dumplings. A few weeks ago I have some friends over, my version of an extended family here, and made some. One of those friends, unique and wonderful Corinna Borden wrote about it in a local blog with some nice pictures and a video. You can read it by clicking here. And yes, I am the Korean friend. You ARE the Korean friend! yippie!